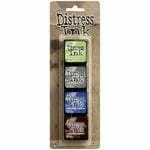 Make it easy to play and express yourself with the Ten Distress Ink Pads Mini Kit by Tim Holtz for Ranger Ink. 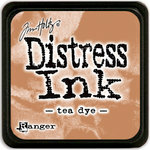 These inks are ideal for stained and aged altered layouts, books, cards, and anything else you can think of! Included are four shades (Bundled Sage, Iced Spruce, Tattered Rose, and Squeezed Lemonade) that each measure 1 1/4" x 1 1/4" with highly raised felt for easier application to your paper. 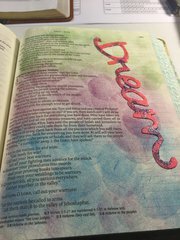 Dye inks are water-based, fade-resistant, acid-free, and non-toxic. 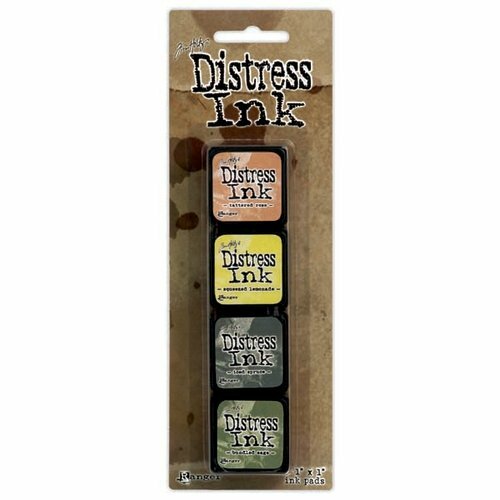 Re-inkers with eye dropper applicators are sold separately. 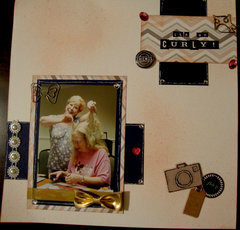 I LOVE EVERYTHING THAT HAS TIM HOLTZ'S NAME ON IT! 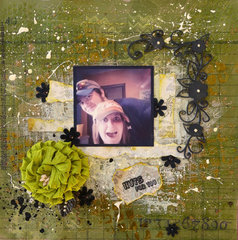 Tim Holtz is amazing. 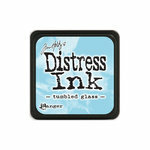 His distress inks are wonderful to use. Colors are so vibrant. 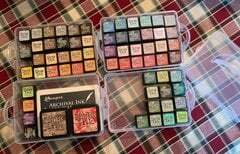 If you are looking for inks these are the ones you get. 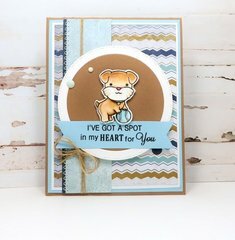 Exactement ce qu'il faut pour le encrer nos tags et autres découpages pour le scrapbooking, ou bien faire des fonds colorés. The iced spruce is a little more gray than I expected, but still a lovely color. 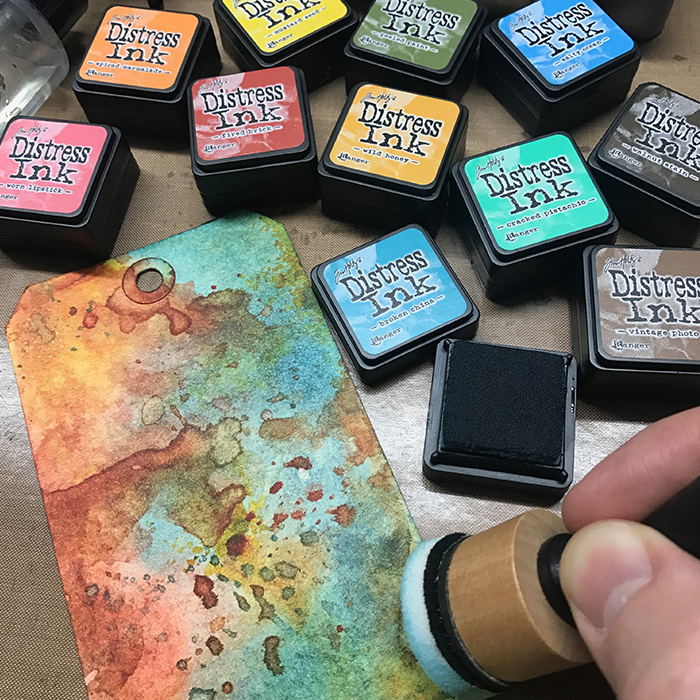 That now resides in the garbage as these mini ink cubes, and yes, I (made the mistake of purchasing all 64) do NOT stamp even the small ONE INCH square fully. Meaning that I pressed and twisted and got "speckles" (for lack of a better word. 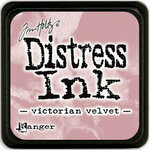 I contacted BOTH Tim Holtz and Ranger Customer service and it was suggested that I try the Distress Ink Refresher. I did......another waste of $10.00 as this did NOTHING to improve the situation. 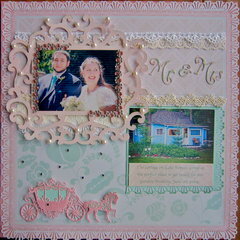 I provided photos of ALL 64 colors stamped onto smooth Neenah 110# cardstock. The end result was that customer service was EXTREMELY rude, unprofessional & disrespectful, stating that I was using the product incorrectly as opposed to just admitting that I received defective products! If you can not honestly defend a true and proper WORKING product, by all means, go on the defensive and insult a PAYING customer! ! ! Not a company I would chose to do business with given this response!! !